Bills related to data protection, cybersecurity, digital economy and more were passed to drive Thailand 4.0. 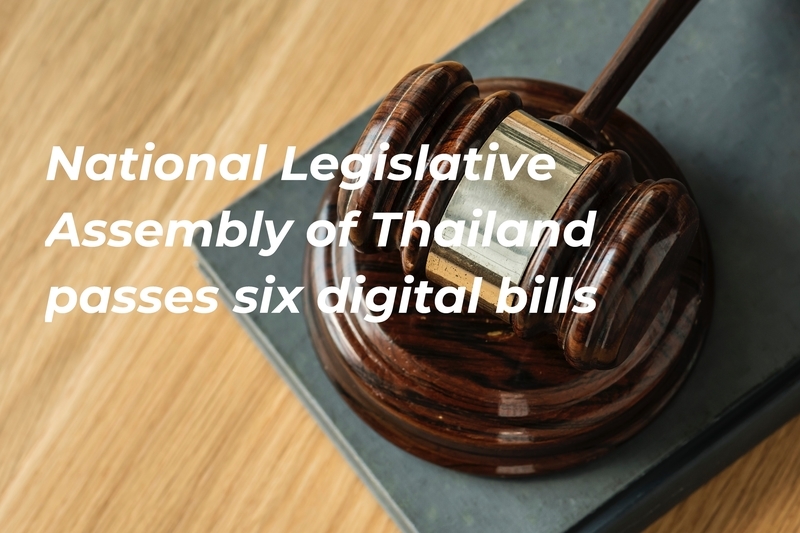 According to a recent report, six digital bills were passed during the second round of the National Legislative Assembly, according to the Minister of Digital Economy and Society. The six digital bills are The Electronics Transaction Organisation Restructuring bill, the Data Protection bill, the Cybersecurity bill, the Digital Economy and Society Council bill, the Digital ID bill, and Electronics Transaction Officer bill. The government of Thailand noted that the bills together will drive the “digital government” movement through developing the required infrastructure, including government Big Data, a data centre, cloud services, and one-stop service. The legislation would also help to reduce the investment duplication among governmental organisations in Big Data, security and data protection. In addition, the bills will result in the creation of a Central Data Centre for the government. Perhaps one of the most important bills that was passed is the Data Protection Bill. According to another report, the Data Protection bill seeks, which is Thailand’s first personal data protection act (Draft Act) seek to regulate both data controllers and data processors, whether they are in Thailand or not, who collect, use or disclose Personal Data collected from individuals in Thailand (whether or not those individuals are Thai citizens). This means that organizations outside of Thailand may be subject to the Draft Act. Under the Draft Act, companies doing business in Thailand or handling the data of Thai citizens will need to reconsider their policies and procedures for handling personal data in accordance with the new law once passed. Another report noted that the draft of the bill on the set-up of the Digital Economy and Society Council was approved in November 2018. Under the bill, the council’s roles will include steering the development of human resources, using digital technology to ensure social equality, working with the government to create the digital society, and promoting the use of digital technology to foster the country’s competitiveness. Council members will include representatives from companies in the digital-business sector, as well as from companies using digital products and honoured persons in the digital sector. An earlier report by OpenGov Asia noted that the Digital ID recently entered the test phase. The Digital ID will enable users to have a new feature for mobile banking, by which the banks are identity platforms, according to a Thailand-based cybersecurity specialist. According to a recent publication, Thailand is working to improve economic growth by shifting its economy from an industry-driven country to one that is driven by high-tech innovations. Changing the focus from producing products to providing services. As part of the Thailand 4.0 strategy of a technology-driven economy, the Thai Government’s aim is to build a “Digital Economy and Society” to enable Thailand to become a digital leader and compete within the ASEAN economic community. Thus, the passing of the aforementioned bills will bring the country six steps closer to solidifying its place as a global tech and innovation hub as well as towards realising its Thailand 4.0 goals.